Ever have this happen to you? 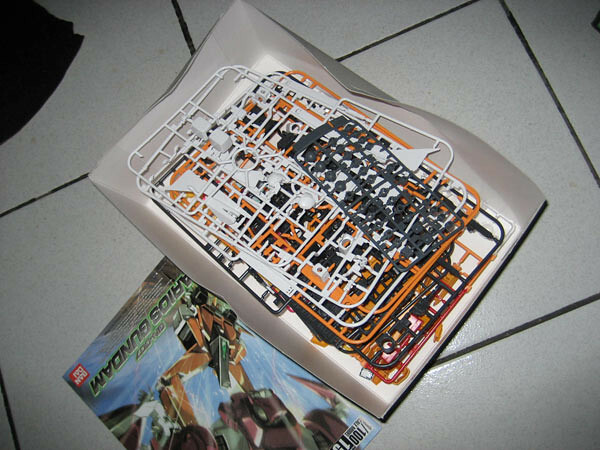 I was on my way back to my room after having finished sanding and snap fitting the 1/100 Gundam Arios when I saw a snake crawling across our living room. It was a bit dark and I couldn't tell if it was poisonous or not, so I just did the logical thing, which was to just go ahead and kill it rather than take the chance of it running loose in our house. Especially when I didn't know if it was poisonous or not. I dropped my toolkit, the sheet of sand paper I was carrying and the box of the Gundam Arios as I ran to get my Dad's baseball bat. It saw me and started to raise its head like a cobra, I charged with the bat and saw it starting to hide under some sheets. Luckily my blow hit it squarely before it could escape. I didn't take anymore chances with it as I pummeled it till it stopped moving. 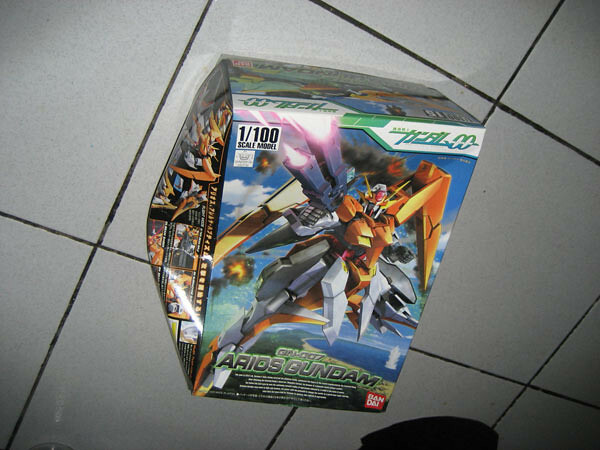 Aside from the snake, the other victim in this ordeal was the box of the Gundam Arios. I accidentally stepped on it as I was moving into position to pummel the snake. So far in a quick inspection of the box there didn't seem to be any damage acquired by the parts. If you ask me, I wasn't happy with what transpired because I really don't like killing anything. But given the choice of course, it was a just killing. Ever since I took my faith seriously I started to abhor violence, especially violence without reason. 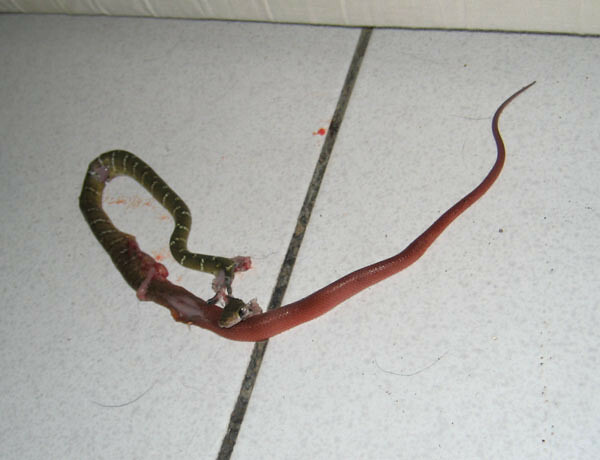 And in case you are wondering, here's a picture of the snake below. The snake was about 1/2" in diameter and less than a foot long. I looked it up online and information on the web said that this asian reptile isn't poisonous. Folks here however have said that it is. Since folks around these parts have been killing snakes longer than I have, might as well take their word for it. After this post, I feel ridiculous having to say that Part VI of this build could be found here. Part VIII of this build could be found here.